Starring Peter Davison as the Doctor, Janet Fielding as Tegan, Sarah Sutton as Nyssa and Matthew Waterhouse as Adric; with James Warwick as Scott, Clare Clifford as Kyle and David Banks as Cyber Leader. A group of geologists and palaeontologists are killed while exploring a system of newly-discovered caves. Soon, the TARDIS team are trapped too, hunted by deadly androids – who relay images of the Doctor to their masters: the Cybermen! 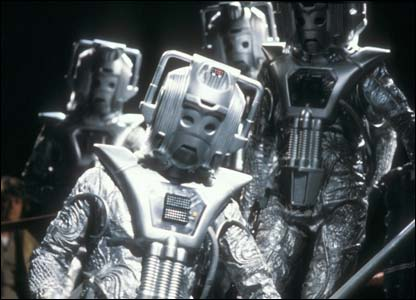 9.1 million people watched the shock return of one of the Doctor’s most famous and deadliest enemies, the Cybermen, at the conclusion of Part One. 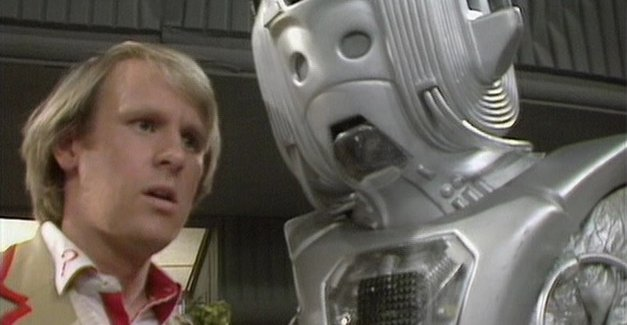 The silver giants were last seen in 1975’s Revenge of the Cybermen opposite the fourth Doctor, Sarah Jane Smith and Harry Sullivan. Producer, John Nathan-Turner, went to great lengths to keep the Cybermen’s appearance a secret – and this paid off wonderfully. His efforts extended to crediting the Cyber Leader as ‘Leader’ and Cyber Lieutenant as ‘Lieutenant’ in the Radio Times and refusing the offer to have the Cybermen on its cover – unlike the decision made in 2007, which ruined the cliffhanger to Daleks in Manhattan. Commentary by Peter Davison (The Doctor), Janet Fielding (Tegan), Sarah Sutton (Nyssa) and Matthew Waterhouse (Adric). 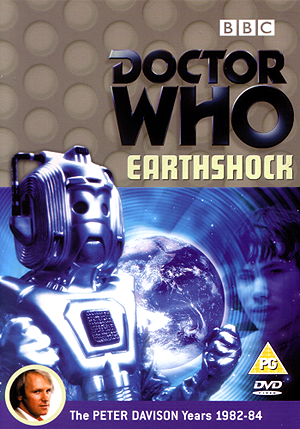 Special Features include: Putting the Shock into Earthshock – the making of Earthshock; Did You See…? – a look at Doctor Who monsters, originally from 1981; and Easter Eggs. An android costume was repainted and reused in The Five Doctors to create the Raston Warrior Robot. WATCH IT IF YOU LIKE… THE GREEN DEATH.